When Singaporeans think of visiting Japan, we tend to have this idea of cherry blossoms, pretty pink kimonos and the famed Mount Fuji. But the southern prefecture of Okinawa should also make the cut when planning for a trip around the Land of the Rising Sun. 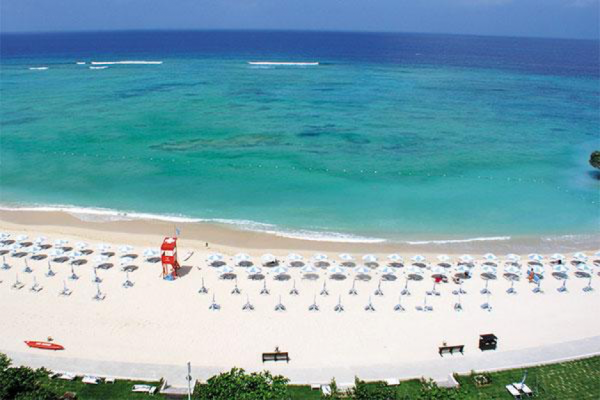 It is a totally different experience as it is made up of the Okinawa and Ryukyu islands. Budget travellers, rejoice! You don’t have to visit expensive cities like Tokyo or Kyoto just to say you have been to Japan. A more wallet-friendly option is Okinawa and you will get to experience a side of Japan that not many other travellers would have. Costs of living in Okinawa is not as high as the other cities in Japan, thus, making the whole holiday experience here more affordable too! Journey of Japan, a website which focuses on giving travellers the best information has good insights into what Okinawa has to offer, which includes their attractions and other general information. 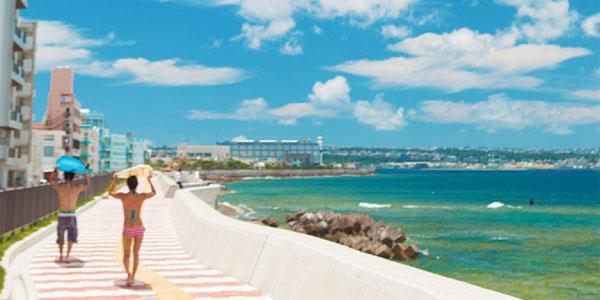 Okinawa is a subtropical island – so think Singapore without the humidity! All year-round, visitors can enjoy good weather here with the temperature going only as low as 14 degrees Celcius and as high as 31 degrees Celcius. So, there is no need to pack heavy winter clothes but if you’re a fan of layering, you will still get to enjoy the cool breeze here. From November to December, which is typically the best time to visit, the temperature hovers around the 20 to 26 degrees Celcius range. Yes, that’s right, it is still warm during winter! Even if it happens to be a gloomy day, Journey of Japan suggests that you head on to the Okinawa Churaumi Aquarium where you will be awed by the vast aquatic life there. History buffs will flock here to hear about the history of the kingdom and how Okinawa used to belong to the Ryukyu people (whose culture was a mix of Japanese and Chinese). 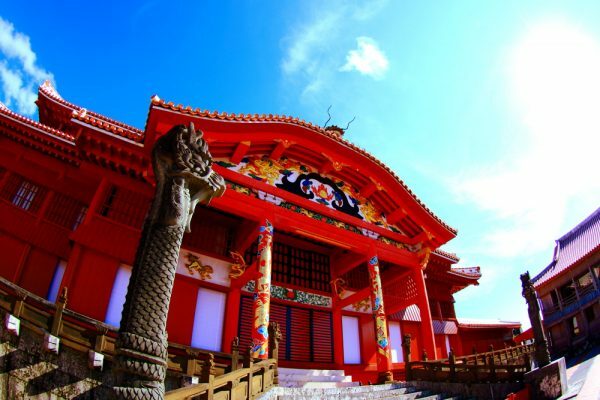 But travellers who want a beautiful backdrop to take photos at will love the Shuri Castle, Nagakusuku castle ruins and other sites here as it is just as stunning as any other Japanese points of attraction, minus the crazy crowds. 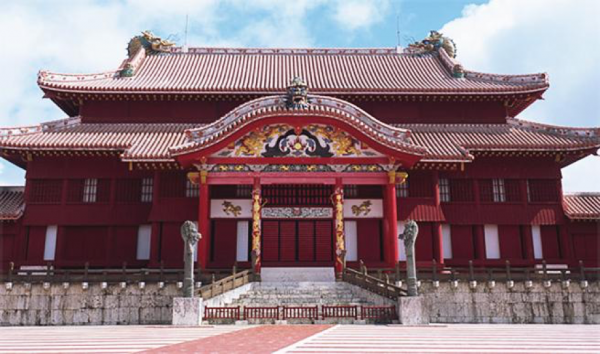 Learn more about the Shuri Castle on Journey of Japan. If you are a fan of sake, then a visit to Okinawa is in order. 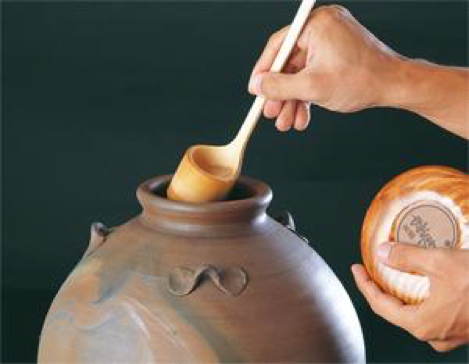 Okinawa produces a different type of sake to the rest of Japan. The sake here is known as Awamori and is brewed in the Chuko distillery, Okinawa’s oldest and most established distillery. Awamori is made from long grain Thai rice and ranges from 30-50% in alcoholic content. The locals often have some over dinner. 5. A beach experience like no other – you can even whale watch! We are used to going to beaches in Indonesia, Malaysia and Thailand, where we end up sweating from the heat and humidity. 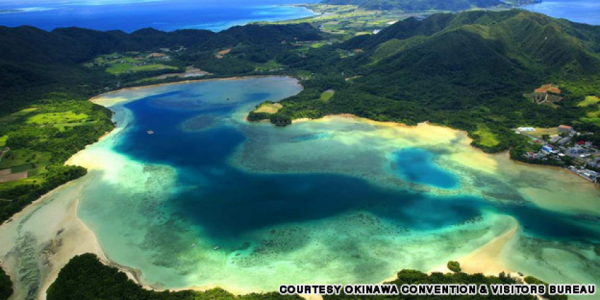 But with the cool climate of Okinawa, you can experience going to the beach without all of that! In fact, there is a huge range of sea activities you can try out here in Okinawa that you probably won’t find back home. Try taking a glass-bottomed boat out to sea to enjoy the clear blue waters and a wide range of aquatic life below. If you prefer to get wet, then try snorkelling, parasailing, kayaking or diving! A really unique experience that you will likely never forget is whale watching here. You can book a humpback whale watching tour while you’re in Okinawa, according to Journey of Japan.